All early training is done via pay-in towing which has important advantages over launching from a hill or cliff: 1.) Pilots have more time in the air for each flight because they begin their flights much higher than at a training hill. 2.) Pilots can repeat flights in less time because they launch from the same place they land. 3.) Training is safer because the launch routine (when the pilot's feet are still on, or near, the ground) can be stopped almost immediately and completely, something that can be difficult at a training hill. 4.) PPG pilots will be able to launch with the paramotor off – something which greatly decreases the possibility of damage to the equipment during the launch routine. These advantages, however, come with additional expense which includes an ATV to retrieve the drogue parachute, an additional person to operate it, two trucks (one for the winch and one for the turn-around pulley), and the winch itself. These extra expenses are reflected in the tuition. However, students will have better, faster, and more thorough training, overall. NOTICE: Payment of the required tuition in no way guarantees that a student will successfully meet the requirements of a particular rating. The PPG-1 & PPG-2 (1st half) courses include all gear necessary for training except the paramotor. As the pilot progresses through the PPG2 course, both he and the instructor will work together to make the best decision on overall equipment needs. Here is a professionally made video by David Guerin of a typical PPG launch, flight, and landing. Here are the details on the USPPA ratings and requirements. Tandem training flights are a good way for someone to get an introduction to paragliding, either free or powered. Please see our tandem operations page for more information. The weight limit for persons wanting to fly tandem is 190 lb, not 200 lb as mentioned in the physical and mental requirements section. The time needed to train varies depending on the weather, student availability, and/or student ability. The PPG-1 Basic Training will cover the fundamentals of paragliding. You will learn to safely fly a paraglider. Training includes learning how to setup, attach, and launch a paraglider. You will practice the launch sequence in a simulator at our shop. Afterwards, you will to to our training area and experience your first flights in a paraglider (without a paramotor attached) via tow. The progress of each student is individual and advancement towards powered flight and/or certification depends on the student's ability to master the necessary skills. Paramotoring requires more training than regular paragliding because of the added weight and complexity of the paramotor. Handling of the glider is significantly more difficult so a pilot must have a good set of basic skills to operate a paramotor safely. We want all pilots to become confident with their skills so they can have a lifetime of safe flight. Your instructor will help you make the right decisions concerning things like the weather and equipment purchases. The first phase of PPG-1 Basic Training includes the use of our glider, helmet, radio, and harness. Students must purchase their own paramotor if they plan to continue their training. WARNING: Do not purchase paragliding equipment before you begin training as you will likely make an expensive and, possibly, a dangerous mistake. We cannot enroll students in PPG1-P/PPG2 training who already have their gear unless it was purchased through an USHPA or USPPA school in which they were enrolled. That is, we can continue training pilots from other schools who already own their gear. The time needed to train varies depending on the weather, student availability, and/or student ability. Master the fundamentals of flight in a powered paraglider. This course includes training for both the PPG-1 and PPG-2 certifications by a USPPA certified instructor. Training includes learning how to setup for landing in a specific area, increasing flying skills generally, covering the terminology, operation and preflight of the motor unit. Upon completion of this course, students are ready for extended paramotoring flights with their own powered paraglider. This is the minimum certification level that allows PPG pilots to fly without the direct supervision of an instructor. If you are considering any PPG certification, purchase the DVD Risk and Reward and watch it many times. It is available from us or online. It will give you a clear presentation of what PPG is all about. Those who have completed the PPG-1 training at Southwest Airsports will get a credit towards their PPG-2 tuition equal to their paid PPG-1 tuition. Understand the paramotor power pack: assembly, disassembly, preflight, starting, throttle control, power cutoff, fuel/oil mixing, maintenance, torque and thrust effects, special dangers, transporting and storage. Earn both the PPG-1 and PPG-2 certifications. 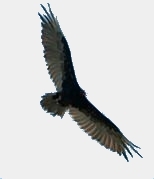 Learn to control the wing through turns and mild turbulence. Begin to understand meteorology and its importance for safe and fun flights here in the desert southwest. Pilots who learn to fly in the mountainous desert of west Texas and New Mexico can fly anywhere. Unlimited hands-on instruction at the training site for your first powered flights. 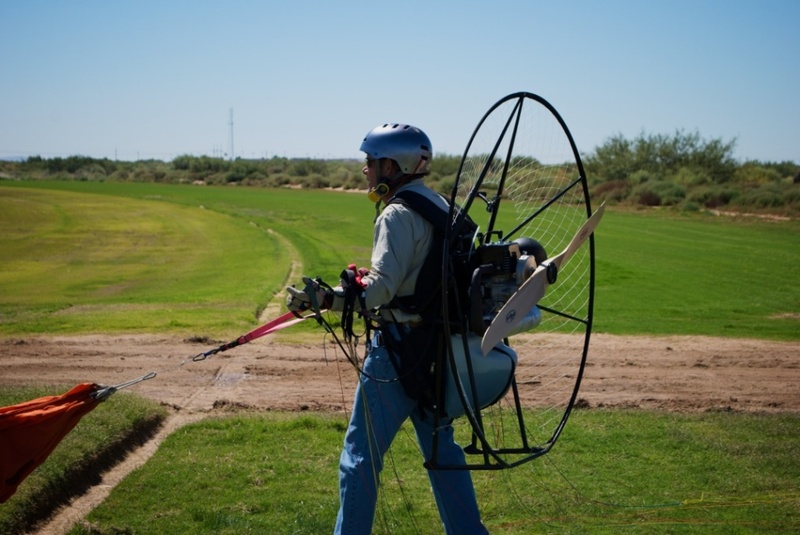 Training for PPG2 does NOT include flying equipment such as a glider, paramotor, or accessories. You can purchase this equipment from us prior to or during your PPG2 training. The time needed to train varies depending on the weather, student availability, and/or student ability. Pilots training for PPG3 must be able to successfully complete a cross-country trip. Please contact us for more information on this advanced certification. The time needed to train varies depending on the weather, student availability, and/or student ability. Students who already have a P2 or higher rating will need less instruction and time to become PPG-2 and vice versa. Pilots may choose to earn USHPA Certification. This will allow the pilot to free-fly a paraglider at many regulated sites. Below – cruising along the U.S. – Mexico border in southern New Mexico in the early morning in August. All PPG pilots need to be aware that a paramotor can quit at any time. Warning! Students may begin their training without a paramotor but will not be able to be certified PPG2 or greater. We can help you decide which types of equipment are best for you and provide it. Note: Part of the real cost of training is offset by the student's purchase of equipment from us.